Queen Elizabeth II and about one million of her closest friends will celebrate the Queen’s Diamond Jubilee in London this weekend. Her Majesty, at 86 years young, is the longest-lived British monarch and only the second to enjoy 60 years of rule. To a younger generation like my own, Queen Elizabeth is likely best known as Prince William’s and Harry’s grandma. Just this week, Prince William gave tribute to her Diamond Jubilee by revealing his favorite photograph of the two of them together. And this grandmother knows how to throw a party—a derby, a pageant, beacons, and a concert featuring Elton John and Paul McCartney all will be squeezed into the much-anticipated Diamond Jubilee in the upcoming days. Her Majesty calls for bridging the generation gap noting, “the opportunities to look for new ways to bring young and old together are multiplying.” We couldn’t agree more. For more information on building intergenerational connections, visit our partner across the pond, the Centre for Intergenerational Practice, and browse Generation’s United work stateside. - Written by Erica Jorde. Erica is a Masters in Social Work student from the University of Michigan and an intern for Generations United this summer. 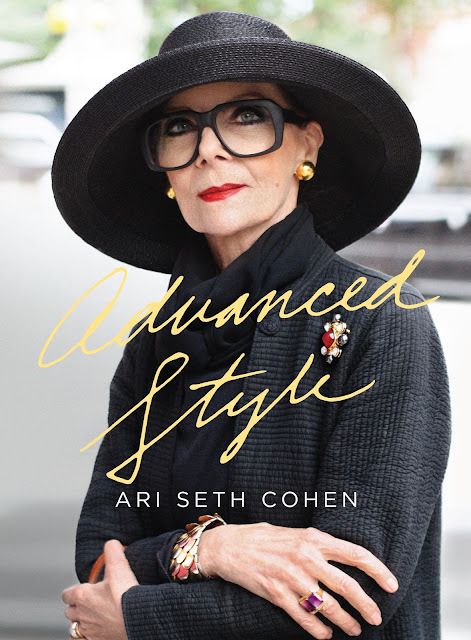 Today’s release of Ari Seth Cohen’s new book Advanced Style points to a new trend in fashion that suits Generations United just fine: younger fashionistas finding inspiration from stylish older women and men. 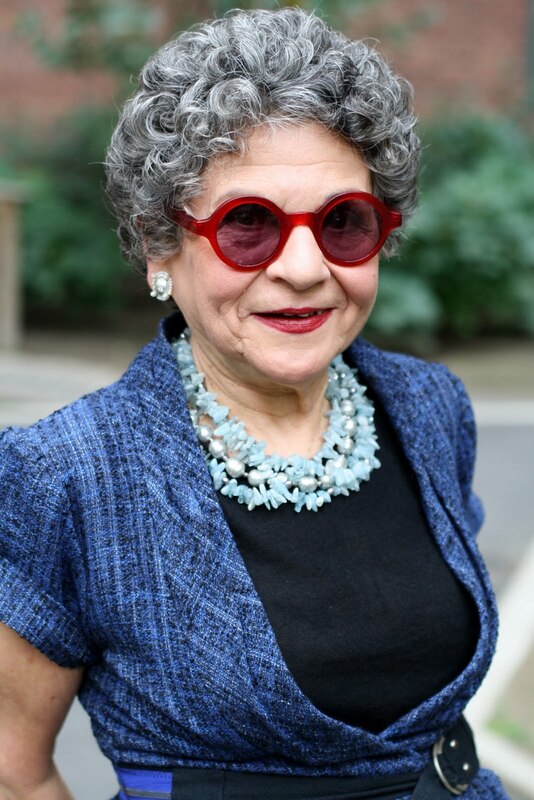 Based upon Cohen's blog of the same name, Advanced Style showcases the put-together fashions of vibrant and confident seniors. The book features wardrobe photos, interviews, stories, and advice from a cadre of his most chic subjects, many of whom are over 80 years of age. 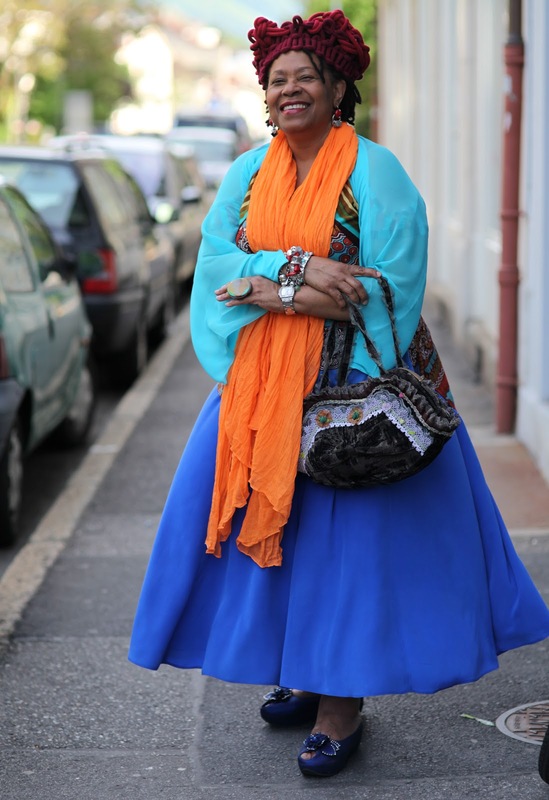 Inspired by his own grandmother’s unique personal style, the now thirty-year-old Cohen noticed a lack of older adults in street style blogs. He moved to New York City after seeing the documentary Hats Off in hopes of meeting the film’s star, Mimi Wieddell, a 95 year-old-actress. During his free time, he began taking pictures of well-dressed women and men whose age seemed only to refine their fashion taste in his opinion. “I was walking around and seeing all of these incredibly dressed older people ... I’ve always had a positive perspective on aging,” Cohen said of his older fashion icons. Through his unusual project, Cohen has forged strong relationships with his muses and picked up a few life lessons as well. In a recent interview with the LA Times, he explains, "I’ve learned how to live my life more fully from the women I have met who are 100 and still doing Pilates. I have a new sense of freedom, and have learned to let things go and just accept myself." Cohen’s book and blog also point to how younger people can give back to older adults as well. In a New York Post interview Cohen explains, “There was always a lack of older people in advertising and magazines,” says Cohen. “I think it’s changing, and hopefully I’ve been a part of that.” For example, MAC released a makeup collection inspired by 95-year-old fashion icon Iris Apfel earlier this year. As a young adult, I find Cohen’s implications that style improves with age to be true. My own grandma always looked distinguished and was never seen without a silk scarf wrapped around her neck. She found a look she liked and stuck with it. After looking through the pictures of Advanced Style, I was pleasantly surprised that many older men and women have completely unique and ever changing wardrobes. Perhaps it’s not a coincidence that Fashion Week and Generations United’s week long celebration of Grandparents Day overlap this fall. Both events are relevant to young and old, and can serve as a source of appreciation and inspiration as well. Could the favorite fashion trend for Fall 2012 be grandchildren and grandparents flaunting their favorite looks together? Très chic, indeed. -Annie Cleary. Cleary is a National Academy of Social Insurance intern for Generations United this summer and a student at Miami University in Ohio. Colorado’s children officially gained a new ally last week when Generations United launched Colorado Seniors4Kids in partnership with the Colorado Children’s Campaign at a colorful event on the West Steps of the State Capitol Building. Following Price’s address, preschoolers, their teachers, and grandparents from Mile High Montessori Early Learning Centers’ Northeast center joined with older adults to plant roots and shoots in planters decorated with the children’s handprints and names. The Mile High Montessori Early Learning Centers provide quality early childhood education to Denver’s most vulnerable children to prepare them for school, serving over 425 low income children ages 6 weeks to 5 years and their families by supporting cognitive, emotional, physical, and social development. As a token of appreciation to our wonderful new preschool friends, Generations United donated several books that feature strong connections between older adults and young children to Mile High and hope they help to nurture a lifetime love of reading. Generations United would like to thank our Colorado Captains4Kids, the Colorado Children’s Campaign, the Mile High Montessori Early Learning Centers, Doug Price, our fellow intergenerational colleague organizations who came to the event, and the many senior and children’s groups from Colorado who really helped us bloom a nice crowd. So What's Next For Colorado? As former U.S. Congresswoman Pat Schroeder and Dr. Mary Catherine Bateson noted in an opinion printed in last Sunday’s edition of the Denver Post, now is the time to contribute your perspectives and experiences. The end of Colorado's legislative session this week coincides with the beginning of Older Americans month. We urge older Coloradans to use the month named in their honor to gear up for greater social activism on behalf of children. Today (or any day throughout this month), please take a few minutes to email or call your legislator. As a Boomer or older Coloradan, you care deeply about children and growing a strong future for Colorado. You appreciate their efforts to prevent additional cuts to children's programs this legislative session. Next session, Colorado must increase investments that improve children's access to quality health care, education and early learning experiences. When our children have the basic health care they need, a good education, and quality early childhood experiences, all generations reap the dividends of their success. To join Generations United’s Seniors4Kids in support of policies that help children thrive or for more information about us, visit www.seniors4kids.org. Photos courtesy of J. Evans. Darryl Robinson, a freshman at Georgetown University studying health-care management and policy, was recently featured in the Washington Post, giving an account of his first year at Georgetown University and the struggles he overcame to get there. The focus of the article, “I excelled in D.C. schools. But I wasn’t ready for college,” was about how our high schools do, or many times do not, prepare students for college. To many, Darryl Robinson was just another young African American male being raised by his grandmother and would never go very far. Darryl stated that “failure was more believable than achievement” for someone in his situation. No one challenged him to think for himself or develop his own ideas, only memorize and recall information. Darryl recalled that his teachers would accuse him of cheating, even though his grandmother would stay up at night and help him study basic math so he would do well on tests. Those doubts, and his grandmother’s support, drove Darryl to want to be more than what was expected of him, and he received a full scholarship to Georgetown University. Darryl has countless examples of adults that looked at him and assumed he would not succeed, but his grandmother did just the opposite. Even today, she calls her 19 year old grandson daily to check in and offer moral support. Darryl’s grandmother taught him to value education, leading by example as she helped him study each night. Generations United would like to not only highlight the importance of grandparents that give children a safe place to live, but also those that take the extra time and effort to become parents once more and teach their children how to believe in themselves. Darryl took this lesson to heart and is today working hard at Georgetown University, alongside the students he once admired for having the chance to attend one of the nation’s best universities. More than 400,000 American children and youth are in foster care today. This month offers a time to highlight the experiences and urgent needs these children and those that step up and become caregivers. Many of these children that were abused and neglected will reunite with their parents, be adopted into loving homes, or be cared for by relatives. Generations United would like to highlight the importance of relative and grandparent caregivers that step in when a child is in need of a loving and stable home. According to the U.S. Census, there are almost 7.8 million children living in homes where grandparents or other relatives are the householders, with more than 5.8 million children living in grandparents’ homes and nearly 2 million children living in other relatives’ homes. More than 2.5 million grandparents report they are primarily responsible for the children living with them. Relative caregivers often feel isolated and lack information about support services. Relative caregivers save taxpayers more than $6.5 billion every year by keeping children out of foster care, while often having financial problems themselves. Despite the challenges and stress that follows raising a child, relative caregivers continue to provide support, offering foster children a chance to stay connected to their family. As we celebrate National Foster Care Month Generations United would like to recognize relative caregivers and the sacrifices made to give children a safe a loving home. This year, during the week of May 7-11, we take the time to celebrate Senior Corps Week. Did you know that more than 300,000 older adults serve as Senior Corps volunteers in communities across the country through Foster Grandparents, RSVP, and Senior Companion programs? Senior Corps helps train older adults to become mentors, coaches or companions to people in need. Senior Corps also offers older adults the opportunity to apply their job skills and expertise to community projects and organizations. Senior Corps volunteers are truly making a difference for individuals of every age. We encourage you to celebrate the contributions these volunteers make through service in their communities each and every day. Interested in finding information on local volunteer opportunities with Seniors Corps? Visit www.SeniorCorps.gov. Happy Older Americans Month! Celebrate by showing your appreciation and support for older adults as they continue to enrich and strengthen our communities. This year’s theme—Never Too Old to Play—encourages older adults to stay engaged and active in their communities. In keeping with that theme, the Administration on Aging (AoA) is encouraging people across the country to host a Day of Play in honor of Older Americans Month. A Day of Play can feature activities that bring older adults together with children and youth in their neighborhoods to exercise, socialize and play! ﻿﻿ To help coordinate your Day of Play, download the AoA’s activity guide for Bridging the Generation Gap today! From our parks and schools to our faith and service organizations, the generosity and talents of active seniors augment our children's education, bring our families together, and strengthen the fabric of our society. Our seniors have devoted their entire lives to building the future their children and grandchildren deserve. During Older Americans Month, we celebrate their successes and recommit to supporting them as they shape America's next great generation. We hope you join us in acknowledging the contributions of older Americans during this month and throughout the year!